This Peony Japanese Tattoo have all the background ready and a chest piece. The Peony is considered the best of flowers and is known as the King of flowers. In short it means elegance and wealth. With it’s large and spreading petals, which are delicately curled at the edges, the peony has been called “the rose without thorns”. Although often depicted in tattoo imagery in deep red, it is today also cultivated in many other colours. Peony Japanese Tattoo “in-progress” by George Bardadim, Tattoo Artist NYC. 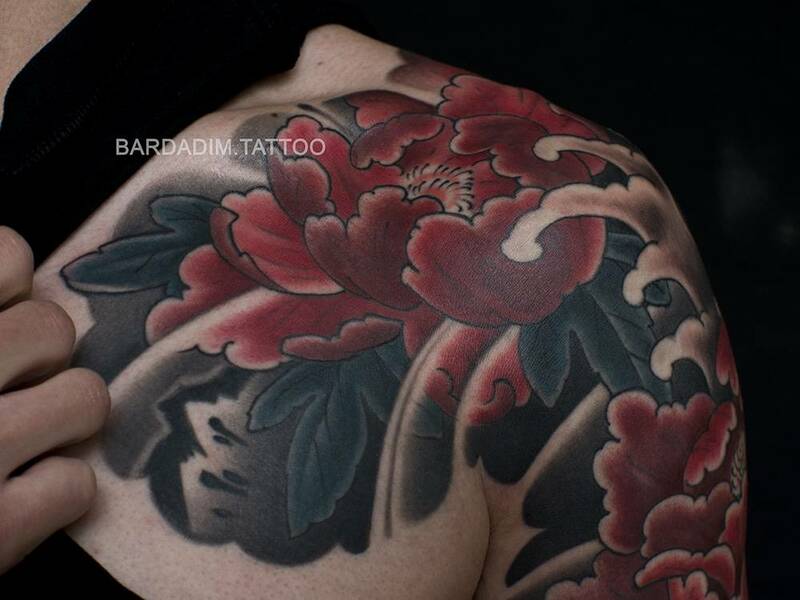 Bardadim Tattoo Studio. Japanese sleeve tattoo in progress.